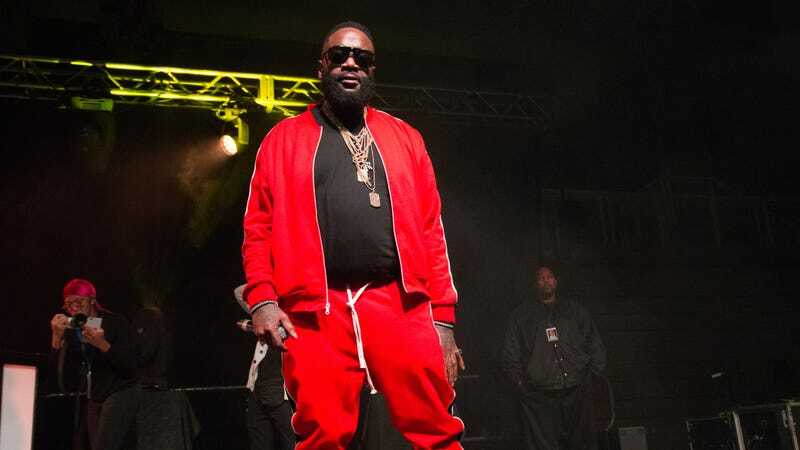 TMZ reports that rapper and entrepreneur Rick Ross has been hospitalized in Miami, after suffering what’s being reported as a potential heart attack, or possibly serious complications from pneumonia. Ross was taken to the hospital on Thursday morning, after initially being found unresponsive in his mansion. (He later woke, and was “combative” with authorities.) According to TMZ, he’s since been placed on a system known as extracorporeal membrane oxygenation, typically used as a life support measure for people who’ve suffered either lung or heart failure that leaves them unable to properly oxygenate their own blood.